These poems are Vitamin “L” for Love. I am prepping materials to put up my first Ebook. It is a by Grace that I got it this far. Appears to be glitches in the program that are not resolved. I am putting on my game face, and stepping forward. The weather is working with me. Talked to the Ibook Author Support again. I am exploring Ibooks to see what is out there. On the Ibooks store....the books do not appear to have a URL. It is difficult to turn the pages on the mac! I want to open this on the Iphone and see if that works. There may be too much to learn now that's new. These Ibooks appear to be an different kind of animal. I am not sure I am in state of mind to take in a whole lot of new information. My foundation feels shattered as it is at home with one longstanding housemate having moved out. I am in a scattered state of mind. There was much stress getting the Ebook to this state. Can you read an Ibook on an iMac? I went down to the Apple Store again to get out of the house, and set if I could spend more time with the trainers. I was at a glitch point where the TOC image was repeating on every page. There are about two main trainers I have been working with. It's been an ordeal these last few months. Last time this year on Valentine's Day I had a partner who lived with me in our shared community household. I've been feeling lonely. It's also been difficult to keep my focus. I'm 68 and managing a household is difficult, especially when there are difficult people. What to do? 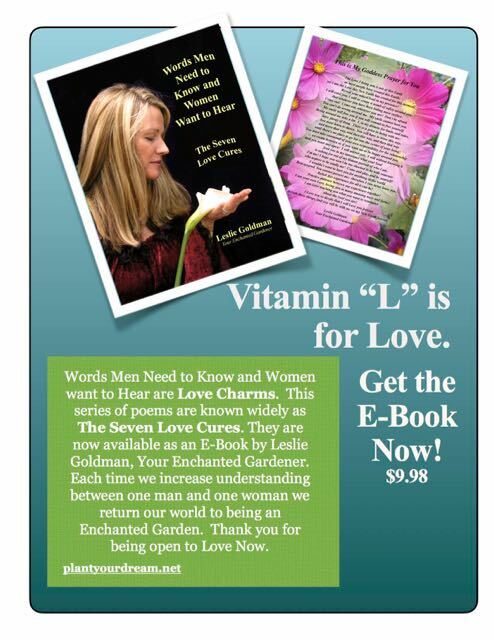 I decided to create my first E-book of The Seven Love Cures, Words Men Need to Know and Women Want to Hear. The Seven Love Cures were written over a span of years around 2000, one earlier. They have beautiful graphics. The words are intended to be read out loud. Sometimes, if I were at a party or gathering, I would connect with couples and offer to read one of these poems. I tell the woman, to pretend she cannot hear my voice, only the voice of her companion. They I read the poem out loud and ask the companion to repeat the words. There is a long history of the success of these Seven easily accessible poems that touch on powerful deep issues that bring up emotions and often can spark intimacy. These are powerful messages. Love Cure #1, Your Creation, was read to open the International Feng Shui Conference of 2005. I had people couple up with those near them. Then, I had one person say the words to the other. At one point in the poem, they switched, so both heard got a chance to say some of the words, and some to receive them. Most of us do not receive enough appreciation. Love Cure #1 does that. Get your books in front of millions of readers shopping on their Mac, iPad, iPhone, iPod touch, and PC. If you have any questions, call 1-877-206-2092 or email ibooks_applicationsupport@apple.com (find additional local phone numbers in our FAQ). Looking over what it takes to be an Ibook Author. Spent most of yesterday at the Apple Store Fashion Valley. Got some great support, however, there is a glitch in the Ibook Author program that was experienced by both me and the trainers. I am somewhat stymied by this today. Made significant progress with learning how to transfer an Ebook from The Ibook Authors app to airdrop. Still something to master as far as getting it into the Ibook library. Helpers at the Apple Store.